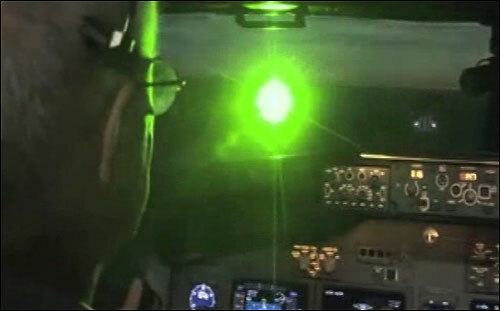 As part of the FBI’s crackdown on people pointing lasers at aircraft, authorities arrested a Puerto Rican man Monday, the Associated Press reports. The FBI arrested Christopher Jusino Rodriguez in the southern city of Ponce after he allegedly aimed the laser at a police helicopter during a security operation. The green light was spotting coming from an apartment balcony, helping police locate Jusino. The FBI said the suspect was using a handheld pointer known as a laser pen. If convicted, Jusino faces up to five years in prison. Posted: 6/24/14 at 9:27 AM under News Story.